Sunday was another rest day after being a tiny bit tired out on Saturday. 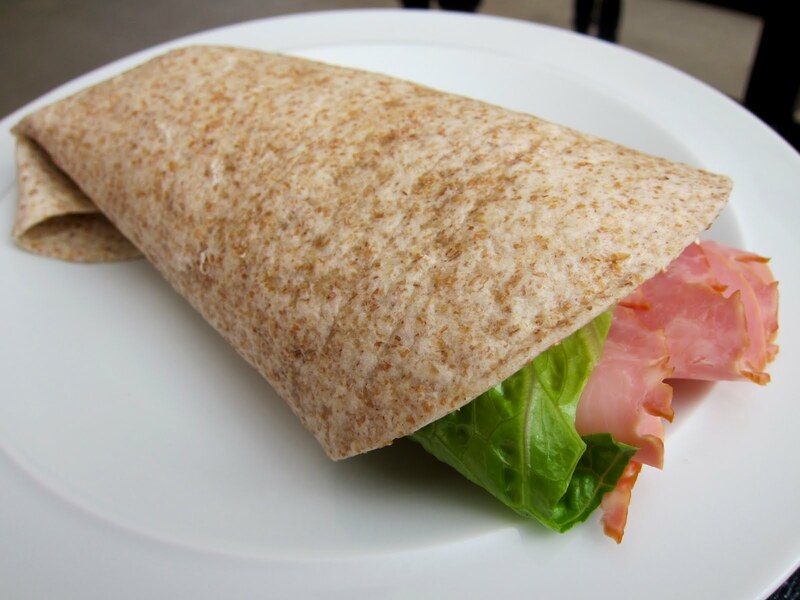 Lots of sport on the telly and I napped through at least some of it; just crashed out on the sofa after my yummy ham, lettuce and Philadelphia wrap (looks so clean and simple and it is!). Then it was lots of cooking... a big batch of chilli to last a couple of weeks of quick dinners when it's too much like faff to cook something long; a roast chicken for Sunday dinner; and a batch of fruit, nut and seed bars. This was iteration number 4 of the fruity ones and the latest recipe has cherries and cranberries in it. It's less proteiney and fibrey than the last iteration and I think that's because there's less peanut butter in this one. And they certainly turned out a lot thinner and darker than the last lot but that's probably because I have a new baking tin that's actually metal this time instead of the ceramic dish I was using before. So, I may need to drop the temperature and keep the cooking time the same. Weigh oats and rice into a bowl. Weigh and chop fruit and nuts into the bowl and add in the seeds. Weigh nut butters and honey into a separate bowl. Microwave for 30s, stir and microwave for a further 15s. Mix all of it together thoroughly and dollop into the baking tin. Press down very firmly (use the back of a spoon or a bit of greaseproof paper and your hands which I find easier). Bake for 30-40 minutes or until golden. Leave to cool until hard - press it down again as soon as it come out of the oven if the dried fruit has swollen up and pushed the mix apart a bit. Then turn out and chop with a sharp knife into portions. I'm not sure what to substitute in for the Kinesis δ jobbie in my local gym to home, but I'm sure I'll think of something for that one. It's only a 3 week routine and today counted even though I did only one set of everything. Obviously I'll try to up the sets to 3 across the board as my first progression before thinking of upping the weights (apart from the Vipr which felt really rather light). Eats look fab, So tasty looking! Your new routine sounds like a killer!